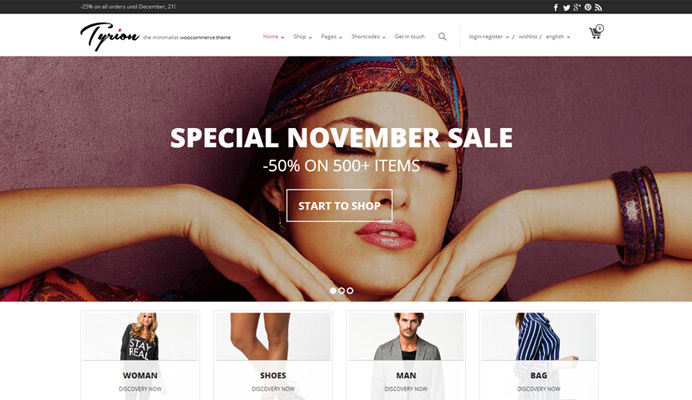 Hope you will find what you are looking for and build your online store successfully by using themes from our 2014 collection. 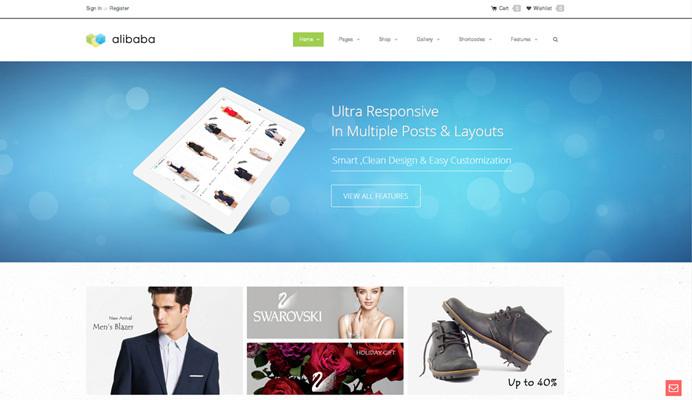 Alibaba is clean and fully responsive E-Commerce WordPress Theme. Theme was created for not only for e-commerce sites, but also for bloggers, showcases, nonprofits and so much more. You can make any kind of site with Alibaba. Theme is easy to use and ready to deploy anytime you want. 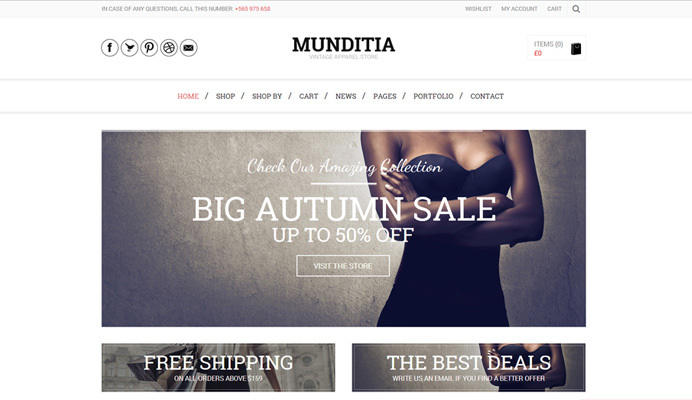 Munditia is the very advanced WordPress Shop. It will amaze you with clean and crisp design and its flexibility. It is suitable for any kind of business. It features a premium Page Builder which will make your life a lot easier when creating new Pages for your Site. A hidden specialty of the Theme is the AJAX loading of products, which means your clients can buy the product directly from the front page with one click. So be sure to check all of our live demo presentations to grasp all the features Munditia has to offer. 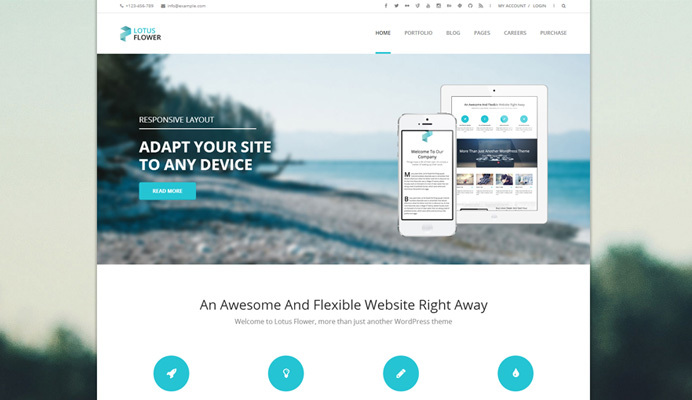 Theme comes with a Revolution Slider which is the best selling Premium WordPress Plugin for creation of Slideshows. 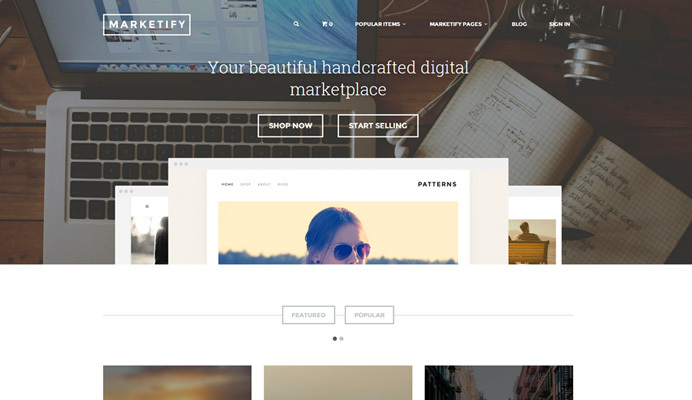 In combination with Easy Digital Downloads (a free plugin), the Marketplace extension bundle (Plugin bundle sold separately) this theme is all you need to create a variety of digital marketplaces. It comes with Layerslider ($15 value) to help you make quick, beautiful and responsive sliders on the move. Fully Responsive and Retina Ready — Crux looks nice on all devices, be it phone or tablets, it will adopt to any screen size and makes things look beautiful on retina displays. Theme is also multilingual ready and supports unlimited sidebars. 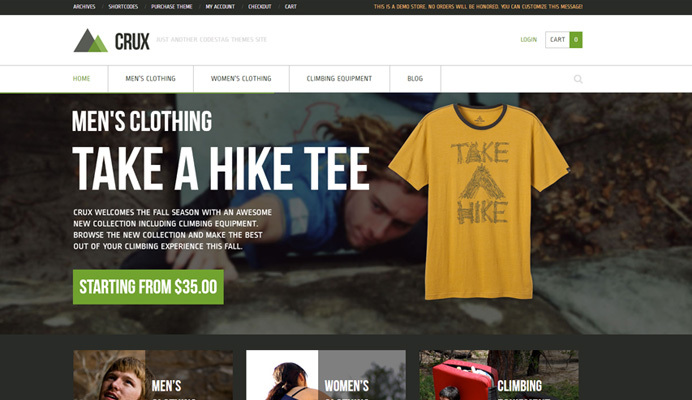 Tyrion is a powerful parallax WooCommerce theme with a lot of custom features. 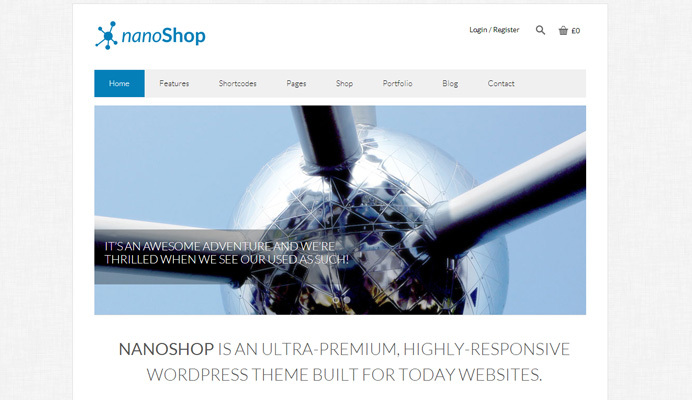 NanoShop has the Advanced Admin panel which provides tons of options to manage and modify any aspect of the theme. It is well suited for both beginners with no coding knowledge and developers. You can change all the colors and looks of the theme with just a few clicks. 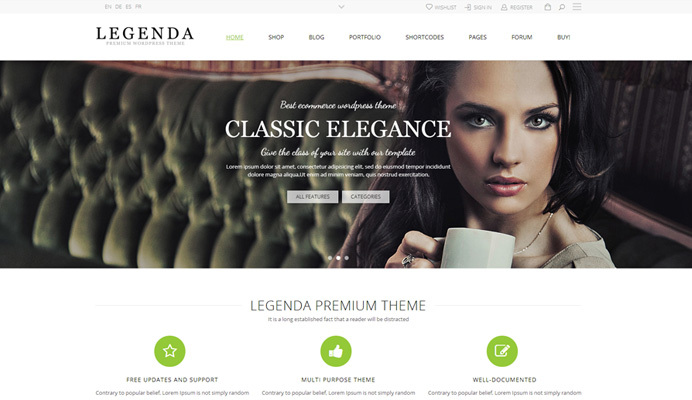 Legenda is super flexible theme, which has fully responsive design for any device. 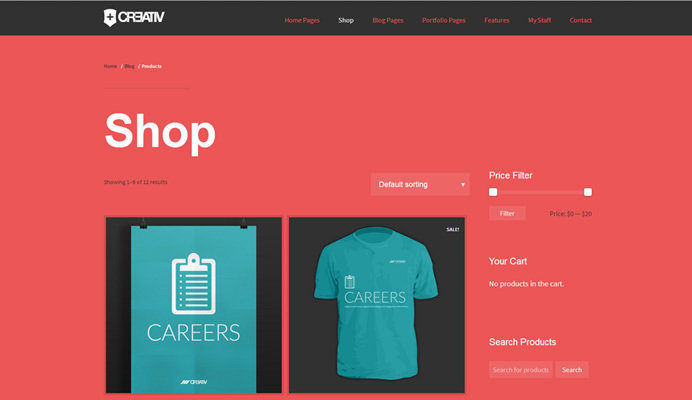 Is a new improved template that includes everything necessary you need for your online store. Universal, best for selling and presentation various types of products, from clothes, accessories, jewelry, to hats, bag, furniture and even food. 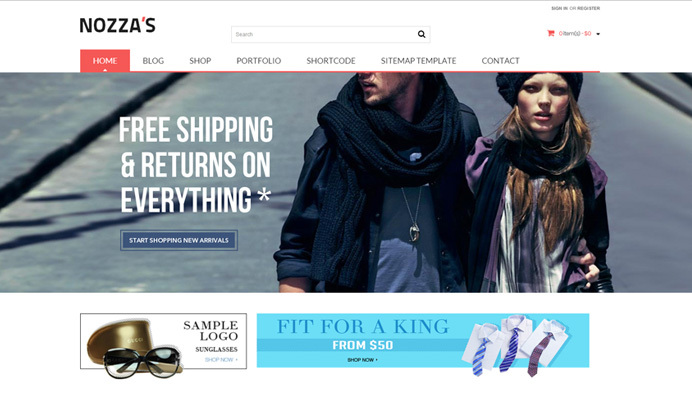 Great Collection of Ecommerce Themes.